I drive a 2005 Focus Wagon. That's a pretty car girl! It's a pretty nice looking car too. I'm saving up for a car right now...even though I don't have my permit yet. Haha. Congrats, Serena! Looks good! Andy...I love the plate. xD And the Bzoink sticker on the back window. Real nice. The plate is just standard, what they gave me.. Not a vanity plate or anything. Congratulations on the new car, it looks really nice. 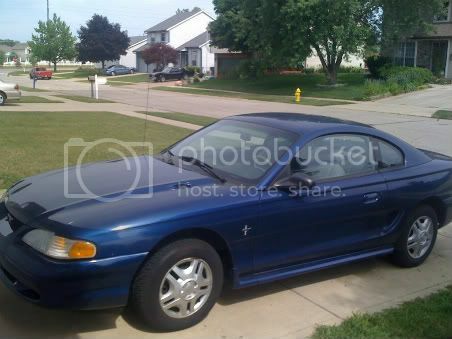 My car is a '96 Mustang. It was new when my dad had it...Haha. I love it, though. It's blue...Maybe I'll take some pictures of it later on and upload them there. Congrats on your new car! It's gorgeous. I'm hijacking this thread all over the place.. I'll be sure to watch out...I just took it in for an oil change about a week ago, and everything was fine according to the people who worked there. There he is. You can see a black car down the street...I want that car so bad, but they have it priced way to high. Plus, they'd kill me if I wrecked it. Haha. haha your number plate is epic! And i'm way jealous of all yyour cars!, we can't learn to drive till we're 17 here, and even though i'm 18 in a month I havn't bothered to learn how to drive either. I can't really afford the lessons, or a car, or the insurance, or the petrol or the tax. But public transport is rubbish seriously, my friends wanted to go to the seaside, and to get there by train would take about 3 hours to get there, whereas in a car it would take about an hour. Grrrrr. 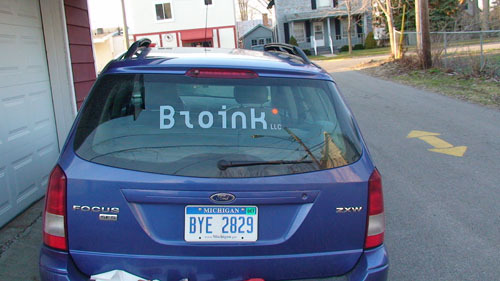 Awesome bzoink-mobile Andy! =] My mom would LOVE your car Wendy. 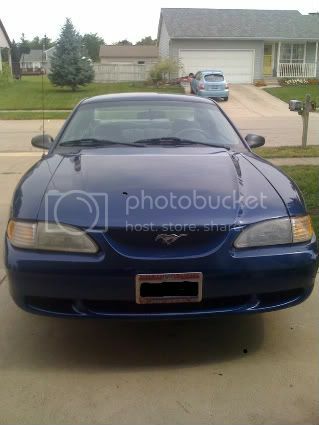 She wants a Mustang so bad. I drove my car almost all day yesterday. I don't have my license yet but I have my permit.